Traditional approaches to enterprise-scale storage are falling short. Organizations are just amassing too much data to maintain traditional management approaches to storing all the stuff. A study commissioned by SUSE found that costs, performance, complexity and fragmentation were each cited as frustrating by over 70 percent of respondents. They’re looking towards “software-defined storage” to help in any or all of these concerns. And this frustration is why a number of proponents are praising the virtues of object storage, which, could very well be the storage format going forward in a cloud-native, data-amassing operating environment. Today, every organization is producing extremely large amounts of unstructured data. This was not the world of data that was anticipated by the enterprise storage providers a decade back. The idea of the file system has served computing wonderfully for the last half century, providing an interface for the computer to predictably and consistently find data stored on disk. But what happens when the amount of data can no longer be managed effectively by storage administrators in their current setups? One approach is to spread the data across multiple servers all within a single namespace, by way of clustered or distributed file systems, such as GlusterFS, CephFS, HDFS for Hadoop, Lustre, and the Oracle Cluster File System. Many of these file systems, however, can require considerable care, work that increases as the cluster nodes themselves increase — not an optimal solution for an organization with limited budgets and unlimited data. The newest applications such as MongoDB or Elastic search tend to store data as objects, anyway. Instead of managing a single namespace across multiple storage nodes, with all its inherent complexities, why not leave each node with its own file system, and manage the data through a single object store, letting an external agent such as Kubernetes coordinate the distribution of data? Andrew Boag: Why mess with file systems? The future of storage is object-based. 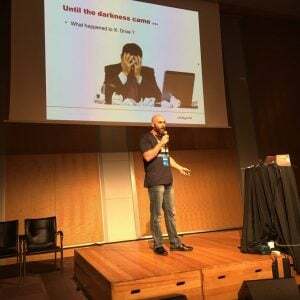 Over time, you want to move to object storage, advised Andrew Boag, managing director of New Zealand open source systems provider Catalyst IT Limited, during a presentation on clustered file systems at the most recent OpenStack Summit, held in Barcelona in October. Catalyst IT has used a variety of clustered file systems to provide a scalable storage solution for its clients with extreme amounts of data and found them to be lacking. For instance, the company used GlusterFS to run an Australian MOOC (Massive Open Online Course). One potential troublesome area of GlusterFS is that the files may only be accessible if the file system itself is mounted, which can be problematic if you are having performance issues with a mounted GlusterFS share. Overall, GlusterFS is best for large, immutable files and less suitable for oft-accessed smaller-sized files. Problematic GlusterFS implementations result in time-outs, performance degradation, file operation failures and even cluster failures. Boag is bullish on object storage mainly because traditional file-based storage requires increasingly more management the larger systems get larger. Object storage abstracts away the low-lying work such as worrying about individual disks, capacity management, backup. The definition of object storage can vary greatly, depending on who is offering the definition, noted Jacob Farmer, chief technology officer for storage consultancy Cambridge Computer, speaking at the Data Storage Day mini-conference within the USENIX LISA 2016 conference, held December in Boston. At its most basic, object storage simply refers to chunks of data that can be individually addressed. The data can have metadata associated with them and accessed through an API. Some object addresses are not bound to physical hardware locations. Sometimes objects are mutable (that is to say, they can be modified) and sometimes they are not. You can reconcile an object store to any level of a traditional storage stack, or if you could make up weird and different storage stacks, Farmer noted. Most modern storage arrays are based on an object store, where they got an internal logic that chunks and allocates and addresses storage. Most of NoSQL databases are, in fact, object stores. MongoDB, for instance, stores everything as a JSON document. Many de-duplication devices and content management systems — Sharepoint, Documentum, Filenet — store content as objects and fetch it using metadata. By now most organizations have petabytes worth of storage. And it’s not a trivial task managing this much data, which could be upwards of a billion files, Farmer noted. “It’s not really the storage that is the problem, it’s the metadata and the file system,” he said. “There are only a handful of vendors who can do it reliably and they always charge a premium for it. Most often, storage systems this large become too brittle. Backing up and storing these data become too difficult. Moving a billion files to a second location and then moving them back “is too much data to move,” Farmer said. Switching out hardware becomes more difficult, as does managing namespace issues. The beauty of object storage is that you are not managing large blocks of data — such as all the data on a single drive — but rather, smaller chunks, which can be more easily distributed, and replicated, across multiple disks. “You’re applying your data protection logic not to hard drives but to the data itself,” Farmer said. The approach that many object storage vendors seem to be taking in an offering, such as EMC’s Isilon, is a RAID 6 approach using erasure coding. In effect, you can RAID-stripe your data set. For resiliency, organizations can even stripe their data across a wide local area network (WLAN), though for this to happen it would need both the bandwidth and a certain tolerance for latency, Farmer pointed out. That said, the move to object-based storage will come with challenges, Boag said. The biggest change may be that your applications will have to access its objects through an API. Developers will have to go through their applications and replace calls to file systems with calls for objects. Objects accessibility may not offer the same consistency as file-based storage. “That is fine if your application understands that,” Boag said. Access latency can still be an issue as well. Of course, many cloud providers offer object storage. Amazon Web Services’ Simple Storage Service is one of AWS’ most popular services, serving as the base of storage for the consumption of other AWS services. Azure offers Blob storage, which like S3 offers for 500TB, though by way of a single blob container, rather than the 100 5TB objects that AWS carves out for each account. Unified Object Storage is an offering from the Google Cloud. DigitalOcean has told us it plans to offer object storage, though hasn’t offered a timeline as of yet. But what if you want to keep your data in-house? One company working on a scalable object storage is Minio. Minio co-founder and CEO Anand Babu Periasamy, was one of the co-founders of Gluster, the company behind GlusterFS. Gluster was purchased in 2011 by Red Hat. Periasamy said he wanted to avoid the mistakes that GlusterFS made. Open-sourced under an Apache 2.0 license, the Minio object storage server provides an AWS S3-compatible storage service. So as far as the developer is concerned, the REST API provides the gateway to store blobs of immutable data. Objects can have a maximum size of 5TB. The server can be bundled, so quoteth the GitHub page, into an application stack, much like is done for Node.js, Redis and MySQL. All well and good. But here is the genius part: Unlike, say, GlusterFS, Minio does not try to build a clustered file system, which would require an increasing amount of coordination between all the nodes. It leaves the work of scaling to the Kubernetes container orchestrator, which regular TNS readers well know, is just nifty at managing multiple workloads on distributed systems. 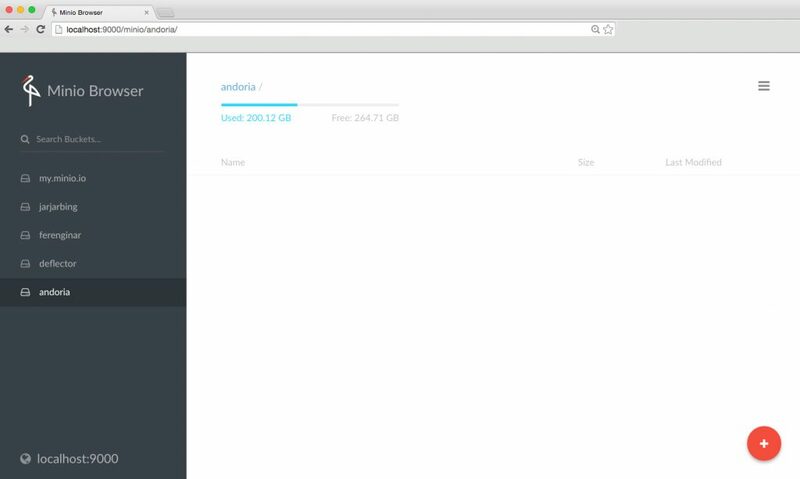 The Minio Server comes with an embedded web based object browser. To make this magic happen, Minio runs on Docker, with each container holding a separate account. Then, Kubernetes balances the use accounts across multiple servers — just like you would deploy multiple copies of Node.js you would do the same for Minio. This approach makes sense, especially for web-scale applications. “If you build a [service] like Dropbox, you don’t want to put all the customers into a single large monolithic distributed application,” Periasamy said. In a multitenant environment, Periasamy argued, it makes more sense to get give each tenant its own virtual storage server, rather than try to have multiple accounts vie for the same set of storage management resources. Managing a clustered file system requires admin attention whenever new nodes, or new users, are added. 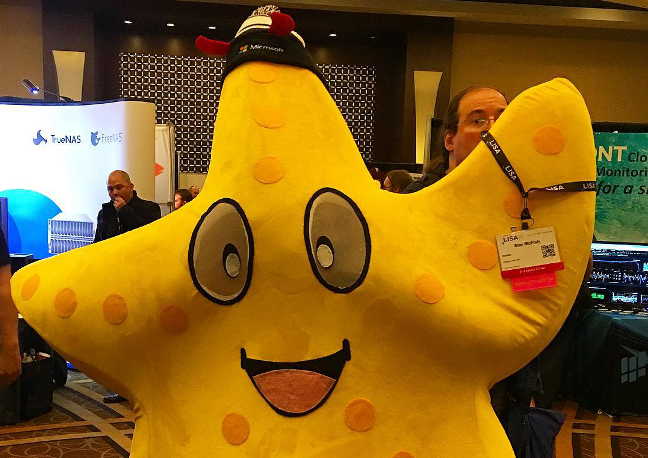 Feature image: The mascot for Starfish Virtual Global File System, at the USENIX LISA conference, 2016.